Weddings are freaking expensive. Even budget weddings. So I get super excited whenever I find even the littlest things for free. 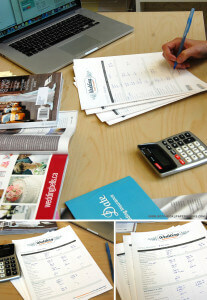 Botanical Paperworks has this free wedding budget printable. Which I think everyone should use. When we budget, we tend to think in broad categories. My example. “Oh I’ll probably spend $75 on stationary.” Then I looked at this budget printable. And I realized that stationary doesn’t just mean invitations and RSVP cards; you also have to remember thank yous, ceremony programs (which we’ll probably just do away with,) a guest book of some kind, place cards, menus (our venue provides them I’m 90% sure,) a seating plan display, maps and directions, and the postage to send it all! This really breaks down everything so you have a realistic idea of what things are going to cost instead of just rounded numbers applied to vague categories. We’re totally using this for our invitations. They’re Download & Print’s free invitation templates. All you need is paper, a printer, and Microsoft Word. This is one of those things that is totally worth DIYing for this non-DIY bride. 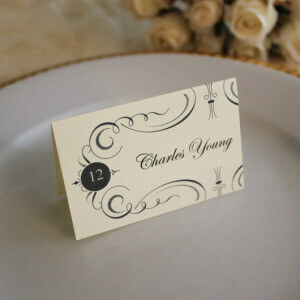 Same thing with this place card from the same site. I figure I’ll just buy a pack of cardstock and click the print button to my heart’s content. We don’t have a huge guest list, so personalizing each one won’t be overly agonizing. 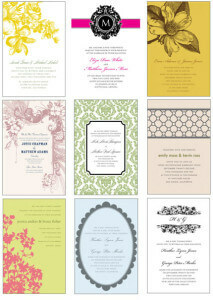 Are you using/did you use any wedding freebies in the planning of your big day? This entry was posted in Ways to Save Money, Wedding on a Budget on August 30, 2013 by femmefrugality. I love that you are so smart and savvy to find such pretty things and save a boatload ton of cash in the mean time–as always, you rock it. And your wedding will be gorgeous! You’re too sweet, Meredith! Thanks! I wish we used those freebies for our invites…could have saved a bit! We used the Knot to give updates, directions, & hotel information for our wedding (rather than paying for extra inserts for the invites) and used Honeyfund to generate some money for our honeymoon (and ended up netting 4 figures, way, way above what we thought we’d get). Back when we got hitched, we weren’t nearly as frugal or savvy as we are now. But it’s great to see you on the ball before the wedding, when you can really avoid those costs. Congratulations! That’s a great idea! I’m still looking at that option; half of our family doesn’t really have internet access (I know….WHHHAAAAAAT?) but we may end up using it anyways. For those coming in person, we had a little antique bird cage that guests slipped notes into, wishing us well. And a lot of the guests put cards with checks & cash in there, too! I felt like Ray Liota in Goodfellas. Free is definitely my favorite four-letter F word! Who doesn’t love free things?! And they’re really pretty! I love that you’re sharing your knowledge on this! We went to Staples for our place cards and thank you notes, a craft store for our invitations, and we didn’t offer ceremony programs or menus. In fact, our reception was buffet-style (it saved us at least $10 per person, and we had 100+ guests!). I wish we had been more frugal with our wedding. The one thing we did handle ourselves were the flowers. My mom and I tried to grow tulips for the bouquets, and they came up a month earlier than expected! Luckily my mom knows someone with a fantastic garden, and we were still able to pick more flowers than we’d ever need for the bouquets and centerpieces for the chapel. I totally compared individual plates vs. buffet. Weirdness: it’s about the same price either way at our venue! Generally I’d say buffet, though, because like you said, it usually saves you a bunch of cash! I love that you guys used local, FREE flowers! I’m meeting up with my friend who got married the same season as we’re going to but last year. She’s got a good relationship with a local florist. I’ll have to divulge afterwards. The budget tracker is a great tool – there’s so many line items that it’s so daunting, but it really gives you a realistic perspective on how much everything costs and what to take into account. I love the name card, pretty design!! It really is amazing…and even though there’s so many line items, it’s kind of cool because I can cross off as many as I want as we prioritize what’s really important to us. I can’t believe how much people spend on invites when these freebies exist. Thanks for sharing! I’ve never planned a wedding but I know several friends who have spent over $30K for their weddings! Wow! I couldn’t imagine spending that much and I completely understand looking for freebies when planning a wedding. Weddings don’t have to be expensive. If you don’t have the money, people can follow your example or do what I did, go to the justice of the peace. My husband’s family didn’t want to come from overseas to the wedding so we had a small ceremony. My mom didn’t have a honeymoon, so my parents paid for a 4 day cruise for us. We didn’t start our marriage in debt.